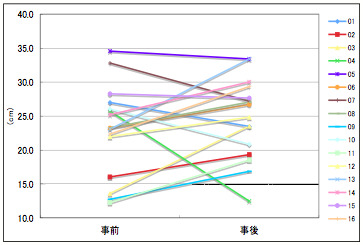 In these days, quite a few body-exercise programs with the aim of preventing toppling have been proposed. Most of them, however, are invented from the view points of physiology and anatomy; they require a repeated practice of disaffiliated movements and they seem to have a problem in that the exercise is not viewed in respect to the relation to the outside world. 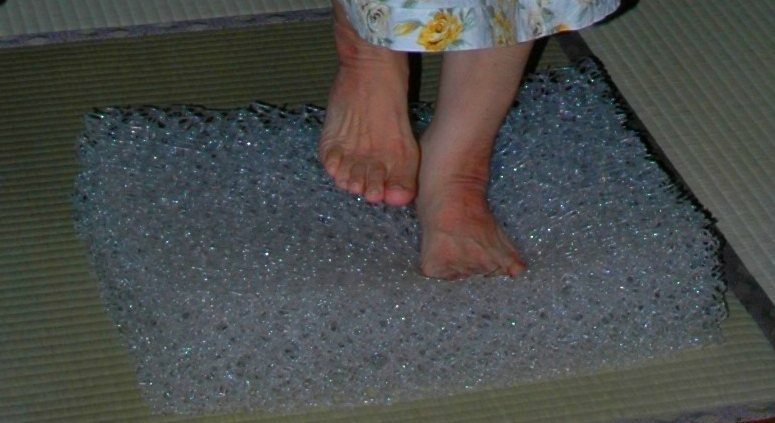 The author has conceived it would be necessary to devise such a body-exercise program and the method to instruct it, which is effective in preventing toppling of the elderly people (i.e., in the recovery of the capacity of balance) and which can be practiced joyfully and continually. In this study, the following results are reported. 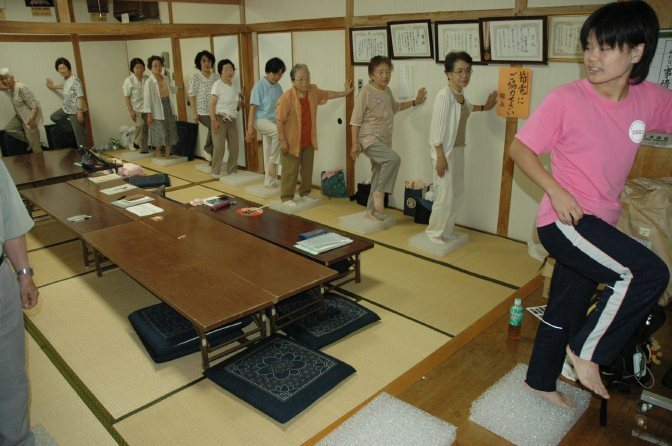 With the aim of preventing toppling of the elderly people, a body-exercise program using a JP cushion has been devised; in the exercise, swinging music and oscillatory, flexible and bouncing characters of the JP cushion are utilized. 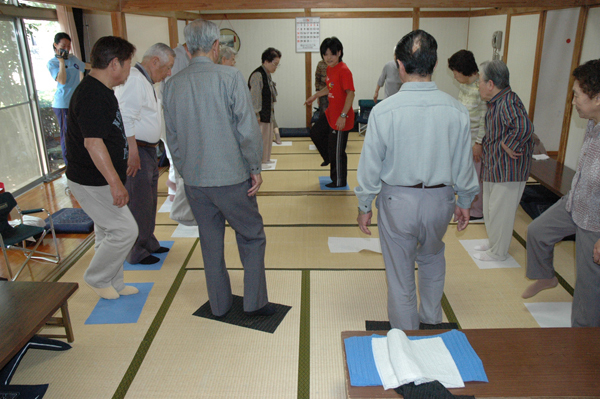 The author instructed elderly people in the devised exercise, studied the change in the capacity of balance and the fashion of the movement before and after the instruction. The reflections by the examinees were also studied. The examinees were 22 elderly people staying home in T City (5 males and 17 females with the average age of 79±4.7), who had no paralysis or para-equilibrium. The exercise was conducted for two months at a gymnastic room and at home. The exercise at home was optional. In order to see the effect of the body-exercise, the capacity of balance was measured before and after the exercise for two months. As a static balance, a device was used to measure the barycentric fluctuation for 30 seconds in the standing posture with eyes open. 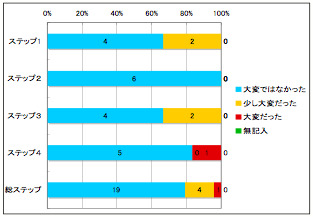 As a dynamic balance, a functional research test was conducted. Lastly, the reflections of the examinees were investigated during the instruction period (4 times) and on the last day of the instruction concerning the conducted body-exercise as for 'the sense of accomplishment (pleasure)', 'the degree of difficulty', and 'whether it is continuable or not'. 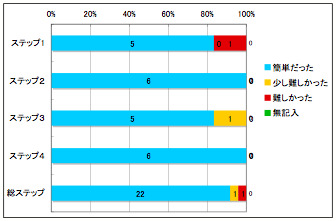 After two months of practice of the body-exercise program for the sake of prevention of toppling, a tendency toward improvement in the capacity of dynamic balance was observed for 56.3% of examinees. No tendency toward improvement, however, was observed in the capacity of static balance. 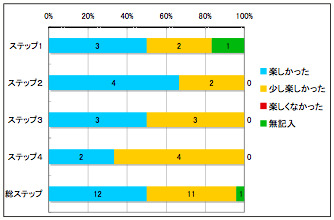 As for the reflections of the examinees, more than 80% of affirmative answers were obtained to the questionnaire on the satisfaction whether the exercise had been 'pleasant'. Even for the elderly people, confirmation has been made of the significance of the exercise program which does not regard the body-exercise as a mere mediated movement but which regards it as an active movement taking its functional characteristics fully into consideration by putting weight on the sense of achievement and pleasure. In addition, the sense of achievement and pleasure were suggested to play an important role in daily continuation of the exercise.